My mantra for 2019 is “I am bold and courageous”. A couple of years ago I felt called to move to Nashville, TN after living in the same town for over 20 years. It was a big leap of faith to make such a big change. I went from living in a small town where everywhere I went I knew people to a good size city where I knew no one. At the time of my move I had recently finished writing Spiritual Springboard, a guide to knowing God personally. In my naivety, I figured since I had followed the nudge to move, God would give me direction and make arrangements to help promote the book He had helped me write. However, He had other plans for me. After I was settled into our new home it became apparent, it was not time to promote the book yet. The book was ready but I sure wasn’t. There was too much healing work I needed to do before I could be an authentic representative for the books marketing. For the past year and a half, God has put me on a healing crash course. It has been tough and so hard realizing how I stifled myself because of subconscious belief patterns. Beliefs such your value comes from your work ethic, don’t bother anyone by asking for help or for what you need, play small so others don’t feel bad about themselves, be nice even if that means neglecting yourself or your truth, don’t be messy, it’s not ok and don’t speak up if you disagree. Then there was these fears, fear of being seen, fear of what others think, fear of being wrong, fear of using my voice, fear of rejection and even fear of authenticity and intimacy. Yeah, I have been a mess a lot over the past year or so, but have also gained so much more freedom and joy. Healing these beliefs I have carried around with me for 40 plus years doesn’t happen over night. It is a continually process of self observation, awareness, new action and a whole lot of God’s grace to help break the habitual ways of being. I now understand why it wasn’t time for me to market the book. I was an inner mess and didn’t even know it. I was also ill prepared to take the rejection and to overcome the fear of what others would think about my message to successfully promote Spiritual Springboard. I was way short on courage and there was nothing bold about me. Even if God would have helped me get the book out there, I would have not have been able to hang onto any success it might have brought me. It’s kind of like those people who win the lottery and 10 years later they are broke because they didn’t have the skills or knowledge to hold onto their blessing. The same would have happened to me. However, I am finally ready! I am done playing small and I am taking bold steps to promote Spiritual Springboard and myself. I am courageously freeing myself to be messy and authentic. I am ready to share my God-given message and talents to serve humanity. I am bold and courageous! 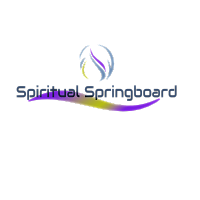 Check out my video to get Spiritual Springboard onto the world market so lives can be transformed.